EnCognitive = Enlightened Mind. En(ENlightened), Cognitive (pertaining to the mind). Our Mission: To preserve and disseminate the knowledge of Natural Medicine so people can make informed consent decisions regarding their health. Man-made drugs are created by synthesizing the bioactive substances (alkaloids, phytochemicals, nutrients) in plants. The pharmaceutical companies do not use the natural substances because they cannot be patented. The petrochemicals in man-made drugs and vaccines are toxins and are biochemically incompatible with the biochemistry of humans; thus the horrendous side effects, diseases, and deaths caused by pharmaceutical drugs and vaccines. Orthomolecular Medicine: Orthomolecular Medicine (the right nutrients in the right amounts), commonly referred to as Nutritional Medicine, as conceptualized by double-Nobel Laureate Dr. Linus Pauling, aims to restore the optimum environment of the body by correcting imbalances or deficiencies based on individual biochemistry using substances [nutrients] natural to the body such as vitamins, minerals, amino acids, trace elements, water, lipids, and essential fatty acids. The necessity of teaching mankind not to take drugs and medicines is a duty incumbent upon all who know their uncertainty and injurious effects; and the time is not far distant when the drug system will be abandoned. --Dr. Charles Armbruster, M. D.
“The doctor of the future will give no medication, but will interest his patients in the care of the human frame, diet, and in the cause and prevention of disease." --Thomas Edison, inventor of the lightbulb, phonograph, and motion picture. Let food be your medicine and medicine be your food. --Hippocrates (460 - 377 B.C. ), considered the father of Western medicine. "You are what you eat." --Ancient adage. Everything we eat is digested, metabolized, and absorbed by our cells. What we eat today becomes our cells tomorrow. Don't count calories. Count nutrients. Food is life. Anyone who doesn't believe this, don't eat for four weeks and see what happens. Food is science. The purpose of eating is to nourish our cells. When we feed our cells the wrong foods, they become sick. Then we become sick. Holistic Health. Complete health consists of many components. The main three are physical health, mental health, and emotional health. The body, mind, and spirit are entwined and are an inseparable part of holistic health; each one affects the other. Physical Health. Physical health requires that we connect with Nature to get plenty of fresh air, sunlight, and exercise. 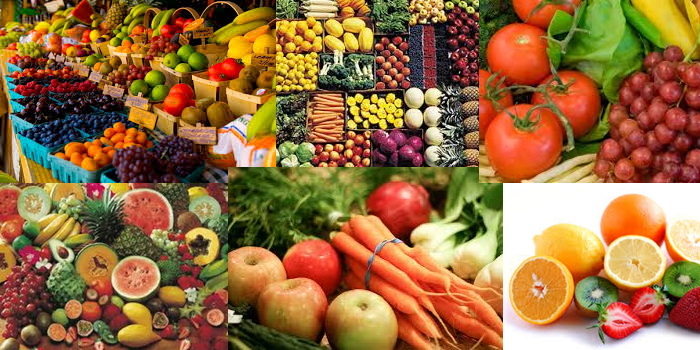 In addition, a balanced diet of whole foods, organic when possible, should be a part of our daily lives. When in doubt, eat what our ancestors ate, which is the Palaeolithic Diet (but with less meat and more fruits and vegetables). The processed foods nowadays that come in cans, bags, bottles, and containers are not really food but are “food-like stuff” chemicals. Anything with a long-shelf life should be avoided in favour of perishable whole foods, such as fruits, vegetables, grains, legumes, nuts, seeds, algae, fungi, eggs, herbs, spices, essential oils, and animal protein in moderation. Eight hours of sleep a night is also essential to physical health. Mental Health. One study suggested that 90% of doctor visits were due to stress. Stress has a debilitating effect on our brain, immune system, and other major organs. Left untreated, stress can develop into disease or exacerbate an existing one. Other common mental health issues include anxiety, grief, depression, shame, frustration, panic attacks, and unresolved or suppressed psychological problems. A daily routine of exercise, meditation, and cognitive behaviour therapy (CBT) has been shown to significantly improve a person’s mood. Emotional Health. Our emotional health is mostly determined by our relationships, hobbies, purpose, and social circle. Are we happy in our personal relationships? Do the people we work with uplift us? What are we doing in our spare time that makes us happy? Have we found our meaning and purpose in life? Are the people we interact with outside of work a positive influence? Do they add value to our lives and make us better? The goal of emotional health is to become content or happy so that we can enjoy all life has to offer. There are many facets to health. Like anything else in life, we have to work hard to achieve good health. It may surprise most people that modern medicine is a for-profit industry. The first fiduciary (legal) duty of the drug companies, hospitals, and most of its clerks (medical doctors) is to maximize profit for their shareholders, and not to make people healthy. Making a profit is perfectly acceptable in a capitalist society; however, profit should not come at the expense of precious lives. 'There is so much bungling, guesswork, faulty diagnosis and coverup, both inside and outside of the hospitals, that the doctors conceal their manslaughter cases by calling them "Accidents." There are so many doctor caused diseases that they have given them a name, "iatrogenic." It means doctor-caused diseases. People think they go to the hospitals to get well—to be healed, but instead, millions of them are made sicker by the treatments, and even killed by the poison drugs, operations and experiments. Most, maybe all, of the hospitals have a separate section set aside for their "iatrogenic diseases." Why are they kept separate? It is probably because the doctors don’t want the visitors to see what they have done to them, and also to use them for experimentation. They justify this by claiming they must experiment to find a cure for the diseases they have caused. But they use the same deadly drugs and treatments that caused the diseases in the first place.' —Dr. Eleanor McBean, ND, PhD, "Vaccines: The Biggest Medical Fraud in History"
—plumbing (toilets, sinks) reduced physical-contact contagions (not STD-sexually transmitted diseases-though). Vaccines had little to do with the eradication of diseases. As the charts show, some vaccines actually caused the diseases they were supposed to prevent. Did you know vaccine ingredients are more poisonous than those used to make meth? And that vaccines have more side effects than cigarettes? 40 years of "asbestos science." 40 years of "tobacco science." 200 years and counting of "vaccine science." According to the drug companies, the most common side effects (adverse reactions) of many vaccines are allergies, autoimmune diseases, cancer, autism, and death. Vaccines don’t prevent diseases. Vaccines cause diseases. Every smallpox epidemic was caused by the smallpox vaccine. Polio was caused by the pesticide DDT and the Salk polio vaccine. The Salk polio vaccine caused polio, cancer, and death in children. It was discontinued in the early 1970s. Measles? You have a higher chance of dying from a lightning strike. For over 150 years, EVERY single study demonstrated that vaccinated people have a higher disease and death rates than the unvaccinated. What else can you expect when you inject disease and poisons into the body. I've never known anyone on pharmaceutical drugs who is healthy. Most people visit a medical doctor with one problem. They're put on multiple drugs and end up with multiple problems—caused by the side effects. And they still have the original problem. The JOURNAL of the AMERICAN MEDICAL ASSOCIATION (JAMA) written by Dr Barbara Starfield, MD, MPH, of the Johns Hopkins School of Hygiene and Public Health, shows that medical errors may be the third leading cause of death in the United States. A 2013 review of studies in the Journal of Patient Safety suggested medical errors cause somewhere between 210,000 and 400,000 deaths each year in the U.S. In a landmark report (PDF) 15 years ago (1999). Drugs are the primary cause of accidental liver poisoning in North America. In fact, even seeking medical attention today is becoming more dangerous. The U.S. Department of Health Human Services reports that there are 700,000 U.S. doctors and they cause 120,000 accidental deaths every year, or 0.171 accidental deaths per physician. The FBI says there are 80 million gun owners in the U.S., which cause 1,500 accidental deaths per year or just 0.000188 deaths per gun owner. It’s a trifle shocking that doctors are 9,000 times more dangerous than gun owners! And almost everyone has more than one doctor. [Over 90% of mass shootings were committed by people on anti-depressants or anti-psychotics. Mentally ill people don't kill other people. Mentally ill people on psychiatric drugs kill other people]. The thing that bugs me is that the people think the FDA (Food and Drug Administration) is protecting them. It isn’t. What the FDA is doing and what the public thinks it’s doing are as different as night and day. --Dr Herbert Ley, former Commissioner of the FDA. Pharmaceutical companies including Pfizer, Merck, GlaxoSmithKline, Novartis, Amgen and Astra Zeneca are accused of deliberately preventing life-saving natural alternatives to drug based treatments from being applied in prevention and cure...A worldwide disinformation campaign undertaken by these companies is said to have caused the death of millions of people...The charges are contained in a detailed complaint filed by Dr. Mathias Rath in the International Criminal Court in the Hague. Drug companies write checks to politicians–they write checks to politicians on both sides of the aisle…As an OIG Investigator, I attempted to expose evidence of major pharmaceutical company wrongdoing. The industry was influencing state officials with trips, perks, lavish meals, transportation to and first-class accommodations in major cities. Some state employees were paid honorariums of up to $2,000 for speaking in their official capacities at drug-company sponsored events...the drug industry methodically compromised the decision making of elected and appointed public officials to gain access to captive populations of mentally ill individuals in prisons and state mental health hospitals...The pharmaceutical industry bypassed governmental safeguards and medical review by creating and marketing TMAP as a “treatment model” that was instituted in various states as an administrative decision by a select few politically appointed officials…. The treatment model accepted by these state officials had a fundamental requirement rooted deep within it: Doctors must first treat their patients with the newest, most expensive drugs patented by the pharmaceutical companies. The state doctors treating mental illness could choose which patented drug to use, but effectively could not choose to use less expensive generic drugs unless and until the patented drugs failed. At Pfizer I was expected to increase profits at all costs, even when sales meant endangering lives. –John Kopchinski, former Pfizer sales representative. Mr. Kopchinski won a $52 million qui tam lawsuit against Pfizer in 2009. Pharmaceutical companies have curried the favor of practicing physicians for many years... As the cost of development and marketing of pharmaceuticals increased, the drug companies efforts to attract the allegiance of practicing physicians intensified. In 2014, pharmaceutical companies spent $4 billion marketing to consumers and $24 billion marketing to doctors. With the exception of heroin and cocaine, 85 percent of all drugs currently abused in the streets are manufactured by 'ethical' drug companies.... Gross sales forecasts from these 'ethical' drug companies deliberately include profits made from illicit sales to drug peddlers. The pharmaceutical industry has purposefully moved to develop an enormous amount of influence within medical teaching institutions. This move was greatly facilitated by several factors. The first was the economic recession, which caused a marked constriction in federal funding for research programs. Academic scientists lacked funding for pet research projects. The second was the tremendous interest that academic scientists held in biotechnology, the stock market, and the possibility of becoming millionaires overnight. The third is the fact that academic physicians tend to lack real clinical experience. In the university, the physician is an expert in esoteric disease, end-stage disease, and animal models of human disease. He or she has little or no experience with the day-to-day needs of the chronically ill patient or the patient with very early symptoms of serious illness. As the academic physician does not depend upon the good will of the patient for his or her livelihood, the patient's well-being becomes of minor consideration to him or her. All these factors make the academic physician a very poor judge of treatment efficacy and a willing pawn of health industrialists. The further I looked the more shocked I became. I found that the whole vaccine business was indeed a gigantic hoax. Most doctors are convinced that they are useful, but if you look at the proper statistics and study the instances of these diseases, you will realize that this is not so...My final conclusion after forty years or more in medicine is that the unofficial policy of the WHO (World Health Organization) and the unofficial policy of the "Save the Children" fund and other vaccine promoting organizations is one of murder and genocide. I cannot see any other possible explanation. You cannot immunize sick children, malnourished children, and expect to get away with it. You'll kill far more children than would have died from natural infection. --Dr. Archie Kalokerinos, Ph.D., A.M.M., M.B.B.S., F.A.P.M. From Ferguson, Missouri to the deserts of Afghanistan the specter of US aggression is fueling the flames of civil strife and military conflict around an increasingly volatile planet. Much of the problem may be connected to the breakdown of the American psyche. Before attempting to shed some light on America’s mental condition, let’s open with a pop quiz question: What is the top-selling prescription drug in the US? Nope, it’s not Viagra, not Prozac, forget the Percocet. If you don't know, take a peek in the medicine cabinet because there’s a high chance it’s lurking in there, right behind that purple people eater. Yes, you got it. The top-selling drug in the Land of the Free and Disturbed is an antipsychotic, happily named Abilify [a drug used to treat mentally disturbed patients]. Doctors rely heavily on information supplied by the pharmaceutical industry. But proper research suggests that just six percent of this information is supported by hard evidence. All this leads to another important issue—we the public are taking record levels of drugs but our health is not improving. I see some patients who take more than ten medications a day and I feel that these multiple drugs may do a lot more harm than good. The pharmaceutical industry has invested a fortune in making us sick and neurotic. Put bluntly, the profit motive of the pharmaceutical industry is corrupting doctors and destroying society’s sense of well-being. The medical profession continues to be in denial over the influence of the pharmaceutical industry. Many doctors are addicted to its hospitality and freebie culture, so beware; your prescription may not have been issued for all the right reasons. --GERARD KIELTY, I.R.B., I.D.E. In the US, it is legal for a physician to receive up to $50,000 from the pharmaceutical industry. If the amount is $50,000 or less, it does not have to be reported to an ethics committee. Therefore, not deemed a conflict of interest in the eyes of the law. It is a common practice for physicians, particularly MDs (Medical Doctors), to receive gifts, money, trips, equipment, etc., from pharmaceutical companies. The reason is that many FDA officials were former employees of the drug industry. This is made possible by the corrupt "revolving door" phenomenon. In the 1930s, the tobacco industry concluded that people trusted their physicians. So when physicians brought forth evidence that cigarettes were causing lung and other cancers in their patients, the tobacco industry used physicians in its marketing campaigns. This continued for five decades, until the 1980s, when faced with government pressure and a barrage of class action lawsuits did the tobacco industry admit that cigarettes caused lung and other cancers. Although it had known about it for approximately four decades. The pharmaceutical industry is using the same deceptive strategy with drugs and vaccines that the tobacco industry had used with cigarettes. Cigarettes can cause lung cancer. Antidepressants can cause suicidal and homicidal tendencies because they suppress emotions (over 90% of mass shooters in the US were on antidepressants or antipsychotics). Vaccines can cause autism and other brain diseases. Read the warning labels, ingredients, and independent studies on these products. Big Tobacco, Big Oil, Big Pharma. They operate the same way: Profit First. Now 200 years and counting of "vaccine science." "Men and women in every branch of medicine—113, 597 in all—were queried in this nationwide study of cigarette preference. Three leading research organizations made the survey. The gist of the query was—What cigarette do you prefer, Doctor?" The patient’s right of self-decision can be effectively exercised only if the patient possesses enough information to enable an informed choice. The patient should make his or her own determination about treatment. The physician's obligation is to present the medical facts accurately to the patient or to the individual responsible for the patient’s care and to make recommendations for management in accordance with good medical practice. The physician has an ethical obligation to help the patient make choices from among the therapeutic alternatives consistent with good medical practice. Informed consent is a basic policy in both ethics and law that physicians must honor, unless the patient is unconscious or otherwise incapable of consenting and harm from failure to treat is imminent. In special circumstances, it may be appropriate to postpone disclosure of information, (see Opinion E-8.122, "Withholding Information from Patients"). "As a medical doctor, I practiced medicine for over 20 years in different countries. I went to different provinces in Canada, and I lived in the U.S. for 6 years. I got to know the medical system. I was questioning, "Why is everything so expensive? Why are we getting sicker and sicker and health care is getting more and more expensive, and everybody's unhappy?" I realized that different systems are totally alike. They have different names but, whether they are a capitalist system, like we have in the U.S., or socialized, like in France, or in between, like in Canada, the bottom line is that the medical systems are all alike. They all serve financiers and not the people. That's the basic thing. The bottom line is that the medical systems are controlled by financiers in order to serve financiers. Since you cannot serve people unless they get sick, the whole medical system is designed to make people sicker and sicker. When I realized this, I had the choice either to obey the medical authorities and keep my mouth shut or to obey my conscience and speak out. I made a decision to obey my conscience, knowing what the punishments were when one doesn't obey the system. So, I wrote the book The Medical Mafia: How to Get Out of It Alive and Take Back Our Health and Wealth." —Dr. Guylaine Lanctot, M.D. The crimes against humanity include a long list. Recently, the World Health Organization found that Glyphosate (main active ingredient in Monsanto’s roundup herbicide) can cause cancer. A recently study also found it to be 125 times more toxic than regulators had claimed. This is disturbing because glyphosate is found in the urine of humans all over the world. It’s not only glyphosate that is a cause for concern, but also agent orange. The fact is that Monsanto’s chemicals are linked to birth defects, deadly kidney disease, cancer, and more. Keep in mind this does not even include the pesticides that are sprayed on non-organic food. 1. "The cause of most disease is in the poisonous drugs physicians superstitiously give in order to effect a cure." -- Charles E. Page, M.D. 2. "Medicines are of subordinate importance because of their very nature, they can only work symptomatically." -- Hans Kusche, M.D. 4. "Drug medications consists in employing, as remedies for disease, those things which produce disease in well persons. Its materia medica is simply a lot of drugs or chemicals or dye-stuffs in a word poisons. All are incompatible with vital matter; all produce disease when brought in contact in any manner with the living; all are poisons." -- R.T. TraIl, M.D., in a two and one half hour lecture to members of congress and the medical profession, delivered at the Smithsonian Institute in Washington D.C.
5. "Every drug increases and complicates the patients condition." -- Robert Henderson, M.D. 6. "Drugs never cure disease. They merely hush the voice of nature's protest, and pull down the danger signals she erects along the pathway of transgression. Any poison taken into the system has to be reckoned with later on even though it palliates present symptoms. Pain may disappear, but the patient is left in a worse condition, though unconscious of it at the time." -- Daniel. H. Kress, M.D. 7. "The greatest part of all chronic disease is created by the suppression of acute disease by drug poisoning." -- Henry Lindlahr, M.D. 9. "Medicine is only palliative, for back of disease lies the cause, and this cause no drug can reach." -- Wier Mitchel, M.D. 10. "The person who takes medicine must recover twice, once from the disease and once from the medicine." -- William Osler, M.D. 11. "Medical practice has neither philosophy nor common sense to recommend it. In sickness the body is already loaded with impurities. By taking drug - medicines more impurities are added, thereby the case is further embarrassed and harder to cure." -- Elmer Lee, M.D., Past Vice President, Academy of Medicine. 13. "Why would a patient swallow a poison because he is ill, or take that which would make a well man sick." -- L.F. Kebler, M.D. 14. "What hope is there for medical science to ever become a true science when the entire structure of medical knowledge is built around the idea that there is an entity called disease which can be expelled when the right drug is found?" -- John H. Tilden, M.D. 15. "The necessity of teaching mankind not to take drugs and medicines is a duty incumbent upon all who know their uncertainty and injurious effects; and the time is not far distant when the drug system will be abandoned." -- Charles Armbruster, M. D.
"The evidence for indicting immunisations for SIDS is circumstantial, but compelling. However, the keepers of the keys to medical-research funds are not interested in researching this very important lead to the cause of an ongoing, and possibly preventable, tragedy. Anything that implies that immunisations are not the greatest medical advance in the history of public health is ignored or ridiculed. Can you imagine the economic and political import of discovering that immunisations are killing thousands of babies?" --Dr. Douglass M.D. "Only after realising that routine immunisations were dangerous did I achieve a substantial drop in infant death rates. The worst vaccine of all is the whooping cough vaccine... it is responsible for a lot of deaths and for a lot of infants suffering irreversible brain damage. In susceptible infants, it knocks their immune systems about, leading to irreparable brain damage, or severe attacks or even deaths from diseases like pneumonia or gastro-enteritis and so on." --Dr. Kalokerinos, M.D. "Crib death" was so infrequent in the pre-vaccination era that it was not even mentioned in the statistics, but it started to climb in the 1950s with the spread of mass vaccination against diseases of childhood. --Harris L.Coulter, PhD. Dr. Michael Odent has written a letter in the JAMA (1994) where his figures show a five times higher rate of asthma in pertussis immunised children compared to non-immunised children. He is also quoted in the International Vaccination Newsletter (Sept. 1994): "Immunised children have more ear infections and spend more days in hospital." Nine die in flu tragedy as epidemic hits nursing home (Daily Express 1/1/1999) Nine pensioners died within days of each other after a suspected flu epidemic swept the nursing home where they lived. An investigation has been launched after it emerged all the victims suffered severe chest infections despite having the flu vaccinations. If vaccines are so effective in preventing disease why have epidemics occurred around the world following mass vaccination programs? In the Philippines for example, "after ten years of compulsory inoculation against smallpox (25 million shots) over 170,000 got smallpox and 75,000 deaths were recorded between 1911 and 1920" (from the Townsend Letter for Doctors article "Are Vaccines Generally Detrimental to the Human Defence System," Feb/Mar 1994). "Sudden Infant Death Syndrome has been reported following administration of DPT. The significance is unclear. 85% of SIDS cases occur in the period 1 through 6 months of age, with the peak incidence at age 2 to 4 months." --From the accompanying insert to Connaught Labs DPT shot. "There has been a frightening increase in cases of autism that has not been explained. There are a number of anecdotal reports from parents that symptoms of autism have appeared close to the time of the (MMR) vaccine." Jane Orient, M.D., executive director of the Association of American Physicians and Surgeons and clinical lecturer in medicine at the University of Arizona College of Medicine, and a professor of clinical medicine at the Oregon Institute of Science and Medicine. "The mechanics of vaccination to build immunity, on the other hand, is quite unnatural. Rather than space exposure to a relatively minuscule level of micro-organisms in a gradual manner, massive quantities of antigens are introduced into the body through a series of vaccinations that are given right in a row over a short period of time. All vaccines, with the exception of the OPV (oral polio vaccination) are injected directly into the bloodstream, by-passing the mucosal immune system known as the secretory IgA. The secretory IgA is the first in a series of defensive levels within the immune system. It serves as a buffer, filtering microbes so that the impact of these invading organisms is greatly reduced once it reaches the bloodstream. The IgA allows the antigen to be removed in the same manner in which it arrived - through the mucosal barrier - by sneezing, coughing and sweating. So a vaccine that has been injected "gives the body no warning, no generalised inflammatory response, no chance to recognise, duplicate or defend itself against future challenges from typical antigens," writes Dr. Mendelsohn in How to Raise a Healthy Child In Spite of Your Doctor. "I've been practicing for 40 years, and in the past 10 years the children have been sicker than ever." --Dr Doris J.Rapp, paediatric allergist. "The greatest threat of childhood diseases lies in the dangerous and ineffectual efforts made to prevent them through mass immunisation.....There is no convincing scientific evidence that mass inoculations can be credited with eliminating any childhood disease." --Dr. Robert Mendelsohn, M.D. "There are significant risks associated with every immunisation and numerous contraindications that may make it dangerous for the shots to be given to your child....There is growing suspicion that immunisation against relatively harmless childhood diseases may be responsible for the dramatic increase in autoimmune diseases since mass inoculations were introduced. These are fearful diseases such as cancer, leukaemia, rheumatoid arthritis, multiple sclerosis, Lou Gehrig's disease, lupus erthematosus, and the Guillain-Barre syndrome." --Dr. Mendelsohn, M.D. "It is pathetic and ludicrous to say we ever vanquished smallpox with vaccines, when only 10% of the population was ever vaccinated." - Dr. Glen Dettman. "Even to this day, the government, the FDA is refusing to use the sophisticated biotechnology to evaluate the contaminants in the vaccines such as the polio vaccines that they are administering. I think (people) would be appalled that some of the vaccines that are currently being used are still laced with viruses." -Leonard Horowitz., D.M.D., M.A., M.P.H. "The vaccinations are not working, and they are dangerous.. We should be working with nature." --- Lendon H.Smith, M.D. "For a paediatrician to attack what has become the 'bread and butter' of paediatric practice is equivalent to a priest denying the infallibility of the pope." - Dr Robert Mendelsohn, M.D. "The decline in infectious diseases in developed countries had nothing to do with vaccinations, but with the decline in poverty and hunger." --Dr. Buchwald, M.D. "I was working in one of the oldest lung illness treatment centres in Germany, and just by chance, I looked at the files of those people who had fallen ill during the first German epidemic of smallpox, in 1947...We had always been told that the smallpox vaccination would protect against smallpox. And now I could verify, thanks to the files and papers, that all of those who had fallen ill had been vaccinated. This was very upsetting for me." - Dr. Buchwald, M.D. "It was similar with the measles vaccination. They went through Africa, South America and elsewhere, and vaccinated sick and starving children...They thought they were wiping out measles, but most of those susceptible to measles died from some other disease that they developed as a result of being vaccinated. The vaccination reduced their immune levels and acted like an infection. Many got septicaemia, gastro-enteritis, etcetera, or made their nutritional status worse and they died from malnutrition. So there were very few susceptible infants left alive to get measles. It's one way to get good statistics. Kill all those that are susceptible, which is what they literally did." --Dr. Kalokerinos, M.D. "I well remember, some years ago, listening to a knighted medical researcher as he spoke on the radio, about vaccines. He told two classical stories form the history books. The first concerned Edward Jenner who, according to history, watched as the milkmaid caught cowpox and this protected her from smallpox. So Jenner got some of the 'cowpox' and inoculated it into someone's arm - it fostered and the pus was then inoculated into someone else - 100% success was claimed. 100%!! How absurd - complete with all sorts of germs including hepatitis, syphilis and whatever. If one did that today, without antibiotics, the death rate would be huge."---Dr. Kalokerinos, M.D. In the April 15, 1998, issue of the Journal of the American Medical Association (JAMA), an analysis of drug side effects found that toxic reactions to correctly prescribed medications make more than two million Americans seriously ill every year and kill 106,000, putting drug side effects among the top 10 causes of death in the United States. Among children, antibiotics and vaccines cause more adverse reactions than any other. In one study, serious reactions to the DPT vaccine (including grand mal epilepsy and encephalopathy) were shown to be as high as 1 in 600. In another study, approximately one out of every 200 children who received the full DPT series suffered severe reactions. Immunisation: Survey of Recent Research, (United States Department of Health and Human Services, April 1983), p. 76. Dr. Bernard Greenberg, a biostatistics expert, was chairman of the Committee on Evaluation and Standards of the American Public Health Association during the 1950s. He testified at a panel discussion that was used as evidence for the congressional hearings on polio vaccine in 1962. During these hearings he elaborated on the problems associated with polio statistics and disputed claims for the vaccine's effectiveness. He attributed the dramatic decline in polio cases to a change in reporting practices by physicians. Less cases were identified as polio after the vaccination for very specific reasons. "Prior to 1954 any physician who reported paralytic poliomyelitis was doing his patient a service by way of subsidising the cost of hospitalisation and was being community-minded in reporting a communicable disease. The criterion of diagnosis at that time in most health departments followed the World Health Organisation definition: "Spinal paralytic poliomyelitis: signs and symptoms of non-paralytic poliomyelitis with the addition of partial or complete paralysis of one or more muscle groups, detected on two examinations at least 24 hours apart." Note that "two examinations at least 24 hours apart" was all that was required. Laboratory confirmation and presence of residual paralysis was not required. In 1955 the criteria were changed to conform more closely to the definition used in the 1954 field trials: residual paralysis was determined 10 to 20 days after onset of illness and again 50 to 70 days after onset.... This change in definition meant that in 1955 we started reporting a new disease, namely, paralytic poliomyelitis with a longer-lasting paralysis. Furthermore, diagnostic procedures have continued to be refined. Coxsackie virus infections and aseptic meningitis have been distinguished from paralytic poliomyelitis. Prior to 1954 large numbers of these cases undoubtedly were mislabelled as paralytic poliomyelitis. Thus, simply by changes in diagnostic criteria, the number of paralytic cases was predetermined as used. A study revealed that 1 in 175 children who completed the full DPT suffered severe reactions ("Nature and Rates of Adverse Reactions Associated with DPT and DT Immunisations in Infants and Children" [Paediatrics, Nov. 1981, Vol.68, No.5]) and a Dr.'s report for attorneys which found that 1 in 300 DPT immunisations resulted in seizures (The Fresno Bee, Community Relations, DPT Report, Dec 5, 1984). "Poliomyelitis associated with type-2 poliovirus vaccine strain. Possible transmission from an immunised child to a non-immunised child" (The Lancet, vol. 1, March 30, 1968, pp. 661-3): a sixteen-month-old boy hospitalised for high fever and paralysis had never received any poliovirus vaccine. >From playing and sharing a bed with a cousin, he apparently had contracted paralytic poliomyelitis from the cousin, who had received type-2 oral poliovirus vaccine thirty-three days before. Virological and serological investigation revealed a vaccine-like strain of type-2 poliovirus. The patient's history revealed no particular susceptibility to infections." "If we look closely, we realise that health for all, according to the WHO, means medicalization and vaccinations for all. That is to say sickness for all." -- Guylaine Lanctot, M.D. 'When you do get to the little wrappers that come with the little bottles of vaccine and read the small print, the alarm bells start ringing.., vaccination does not guarantee immunisation... you do run some risk with vaccination... I put it that natural immunity is much more likely to be protective of the child than the much failed record of artificial immunity coming from vaccination'. --Senator Brown of Tasmania (ex medical practitioner). 'It is impossible to identify all rare adverse events or to identify the safest vaccine combinations prior to licensure' said Robert Chen, chief of vaccine safety and development activity at the USA National Immunisation Program of the Center for Disease Control. The USA Association of American Physicians and Surgeons said that children younger than 14 are three times more likely to be killed or seriously injured by Hepatitis 'B' vaccine than to catch the disease. They have called for an immediate moratorium on mandatory Hepatitis 'B' vaccine for school children pending further research about dangerous side effects. The USA Public Health Service and the American Academy of Pediatrics are now asking vaccine manufacturers to eliminate the preservative of Thimerosal (a mercury derivative) from all vaccines. Thimerosal is presently being used in Hepatitis 'B, Diphtheria Tetanus, Pertussis (DTPw), Influenza and Bacterial Meningitis (Hib) vaccines. It has been found that the cumulative effects of ingesting mercury can cause brain damage. The Centers for Disease Control in the USA recently recommended the phasing-out of the oral polio vaccine in favour of the inactivated polio vaccine by injection. The risk of vaccine-associated paralytic poliomyelitis now seems greater than the risk posed by the disease. The Bovine Spongiform Encephalitis BSE (Mad Cow Disease) inquiry in the UK has shown that the 40 victims of BSE and the new variant Creutzteldt-Jakob disease may not have had anything to do with eating beef, but from injecting vaccines made from the brains of BSE-infected cattle. Modern vaccinations, fear of germs and obsession with hygiene are depriving the immune system of the information input upon which it is dependent. This fails to maintain the correct cytokine balance and fine-tune T-cell regulation, and may lead to increased incidences of allergies and autoimmune diseases. If humans continue to deprive their immune systems of the input to which evolution has adapted it, it may be necessary to devise ways of replacing it artificially. --Rook GA, Stanford JL Dept of Bacteriology, UCL Medical School, London, UK. "Instead of the Government spending $400,000 on immunisation, we may get far better health outcomes if we spend $100,000 in some other way, on nutrition for example...When you have an expenditure on getting your community healthier, then the resistance to many childhood diseases is stronger." -Michael Moore, .Health Minister, Hansard 1997. "Among school age children, (measles) outbreaks have occurred in schools with vaccination levels of greater than 98%. These outbreaks have occurred in all parts of the country, including areas that had not reported measles for years." -Morbidity and Mortality Weekly Report, 29/12/1989. "Dutch scientists are struggling to identify the exact cause of an epidemic of whooping cough that has swept throughout the country despite vaccination rates as high as 96%. Similar problems are also being reported from Norway and Denmark." -British Medical Journal, 1998. "An outbreak of measles occurred among adolescents in Corpus Christi, Texas, even though vaccination requirements for school attendance had been thoroughly enforced." -New England Journal of Medicine Vol. 316: pp 771-774. "(Whooping cough infections) are common in an immunised population." -Journal of the American Medical Association, 1998. "From January 1988 to March 1989, a widespread outbreak (118 cases) of polio type 1 occurred in Oman. Incidence of paralytic disease was highest in children younger than 2 years despite an immunisation program that had recently raised coverage with 3 doses of oral poliovirus vaccine among 12 month old children from 67% to 87%." "The incidence of asthma has been found to be five times more common in vaccinated children." -The Lancet, 1994. "There is no doubt in my mind that in the U.K. alone some hundreds, if not thousands, of well infants have suffered irreparable brain damage needlessly (due to being vaccinated)." - Prof. G. Stewart, Dev. Biol. Stand. Vol. 61: pp 395-405. 1985. "In the USA the vaccination lobby has made the US Government shoulder the vaccine manufacturers liabilities. The Government established a National Vaccine Injury Compensation Program in 1986 and has paid out in excess of $1 billion to families for vaccine injuries, mainly from the whooping cough vaccine. The Vaccine Adverse Events Reporting Scheme of the FDA admits 12,000 to 14,000 reports annually and agree that only 10 to 15% of adverse reactions are reported." "In 1993 a high court judge in the UK decided that it was impossible to know the exact contents of vaccines and that science had no idea what the cocktail of chemicals, contaminants and heavy metals contained in vaccines could do to the human body, or why they would work to prevent disease." -British Medical Journal, 1993. "Studies have shown that while the oral polio vaccine contains three strains of polio virus, a fourth strain can be cultured from the faeces of vaccine recipients. This indicates that viruses have recombined and formed a new strain in the process of vaccination." -Virology, 1993. "It is officially admitted that all cases of polio in the US, since the introduction of the vaccine, are caused by the vaccine. The same has been seen in Australia and other countries like England. So the occurrence of the same phenomenon all around the world would be asking too much of coincidence." - Dr Viera Scheibner, "Vaccination: The Medical Assault on the Immune System" 1993. "In an outbreak of measles in Western Sydney in 1993, 73% of cases occurred in children aged 5-9 years who had been vaccinated against measles according to their parents." -Medical Journal of Australia, 1995. "In the USA in 1978, they mandated vaccination and it resulted in a three fold increase in the reported incidence of whooping cough." -Dr. Viera Scheibner showing graphs from Tokai Journal of Experimental Biology and Medicine 1988. Atypical measles has been known about for almost as long as the measles vaccine has been around and it is ONLY found in the vaccinated. It is typified by a milder than usual rash which is probably where the ugly rumour has originated that vaccinated people get milder cases of measles than the unvaccinated. Though the rash may be less, the symptoms can be much worse and the chances of lung involvement are higher than with wild measles (20% +) and liver involvement 3% +) The earliest medical journal study I have about this is "Altered Reactivity to Measles Virus" Atypical Measles in Children Previously Immunised with Inactivated Measles Virus Vaccines. Fulginiti, V.A. et al; JAMA 18/12/67, Vol. 202, No. 12. Viera Scheibner has said that the chances of dying from wild measles are 0.03% while the chances of dying from atypical measles are between 12-15%. It was thought at one time that it was only the early inactivated vaccine that could cause atypical measles, but it is no known that any measles vaccine can. It seems that the vaccine perverts the immune process which may explain the reason why those who are vaccinated can get measles over and over without developing any natural immunity and may not be able to pass immunity onto their unborn child through the placenta. In Post Vaccine Diseases of the Central Nervous System : Preliminary Results from the Mediterranean Journal of Surgery and Medicine Number 2 1996 On page 71...."Most vaccines have in their composition Thimerosal which has been the reported cause of neurologic and gastrointestinal (mainly related to the purinic nervous pathway) symptoms(6,7) These actions are not dose related." Measles vaccination produces immune suppression which contributes to an increased susceptibility to other infections. Clinical Immunology and Immunopathology, May 1996; 79(2): 163-170. "Official data shows that large scale vaccination has failed to obtain any significant improvement of the diseases against which they were supposed to provide protection" --Dr Sabin, developer of Polio vaccine. Questions to ask Vaccination Advocates. Dr. Michel Odent has linked asthma to the whooping cough vaccine. Have you read his research? What do you think? Professor Wakefield (UK) has linked autism and crohns disease to the measles, mumps and rubella vaccine. What do you think? What evidence do you have to back up your opinions? Why is the same dose of vaccines given to a two month old as for a 5 year old? Are you aware that Japan changed the start time for vaccinating from 3 months to two years and straight away their SIDS rate plummeted? Do you believe in herd immunity? If so, how is it that 98% of U.S.A. children are vaccinated yet they still have outbreaks of these diseases? Most diseases were already 90% gone before any vaccines were introduced, If this is so, how can vaccines be applauded for diseases ceasing, especially when there were no vaccines for some diseases like bubonic plague and scarlet fever? How can an unvaccinated child be more of a risk than a vaccinated child if neither have the disease? Surely it would be the other way around in the case of the live virus vaccines? These children are assured of having the virus in their bodies to spread. How can the Tetanus vaccine induce immunity, when contracting the disease naturally does not give immunity? If the "so called" diphtheria vaccine, which is in fact a toxoid, works against the toxin produced by the bacteria, and not against the bacteria itself, then how did this "vaccine" help in the decline in diphtheria? "By the (U.S.) government's own admission, there has been a 41% failure rate in persons who were previously vaccinated against the (measles) virus." -- Dr. Anthony Morris, John Chriss, BG Young, "Occurrence of Measles in Previously Vaccinated Individuals," 1979; presented at a meeting of the American Society for Microbiology at Fort Detrick, Maryland, April 27, 1979. "Our results suggest that infants whose mothers are born since measles vaccine licensure in 1963 are significantly more susceptible to measles than are infants of older mothers and that the risk of measles increases incrementally with each year increase in the maternal year of birth." -- "Increased Susceptibility to Measles in Infants in the United States," Pediatrics, Nov. 5, 1999. The strong association between vaccination with RRV-TV and intussusception among otherwise healthy infants supports the existence of a causal relation. -- Intussusception among infants given an oral rotavirus vaccine., Murphy TV, et al. Epidemiology and Surveillance Division, National Immunization Program, Centers for Disease Control and Prevention, N Engl J Med. 2001 Feb 22;344(8):564-72. “Despite the tendency of doctors to call modern medicine an 'inexact science', it is more accurate to say there is practically no science in modern medicine at all. Almost everything doctors do is based on a conjecture, a guess, a clinical impression, a whim, a hope, a wish, an opinion or a belief. In short, everything they do is based on anything but solid scientific evidence. Thus, medicine is not a science at all, but a belief system. Beliefs are held by every religion, including the Religion of Modern Medicine.” —Dr. Robert Mendelsohn, M.D. “Mankind has so far survived all major catastrophes. It will also survive modern medicine.” —Gerhard Kocher. “Drug medications consists in employing, as remedies for disease, those things which produce disease in well persons. Its materia medica is simply a lot of drugs or chemicals or dye-stuffs in a word poisons. All are incompatible with vital matter; all produce disease when brought in contact in any manner with the living; all are poisons.” —Dr. R.T. TraIl, M.D., in a 2.5 hour lecture to members of congress and the medical profession, delivered at the Smithsonian Institute in Washington D.C.
“All matter originates and exists only by virtue of a force which brings the particles of an atom to vibration which holds the atom together. We must assume behind this force is the existence of a conscious and intelligent mind. This mind is the matrix of all matter.” —Max Planck, physicist. Physics Nobel Prize 1918. According to the 2009 statistics from the Centers for Disease Control and Prevention, prescription drugs were responsible for more overdose deaths in the U.S. than “street drugs” such as cocaine, heroin and amphetamines. “Most people don't realize that pharmaceutical medicine is a false paradigm doomed to failure, as most drugs will damage the mitochondria as well as interfere with essential biochemical pathways. I strongly object to Medicare coverage of prescription drugs, because, the more drugs people take, the worse their health will be. “ —Alan Greenberg, M.D. Trust medical doctors and priests at the peril of your body and soul. Be personally responsible for your own health and salvation. You are only free to think and do what you want when you rely on no authority for your livelihood.